Some Igbo people in IPOB are not as smart as they think they are. Envy, greed and jealousy won't let them. Their primordial instinct to seek leadership at all cost, even when they know they are NOT* qualified for such office, is their greatest problem and ultimate downfall. Every person who can barely read or write wants to be a leader. Once they start seeking leadership, a type of demon possesses them. From that point onwards they become impervious to reason and wise counsel. When a desperado gets to that point where in his demented mind, it's either leadership or they destroy everything others have laboured hard to build, you find that even rampaging Fulani herdsmen are more useful to you than such individuals. There is some sort of resident evil inside each and every one of these people and until they destroy the organisation they are targeting, they will not stop. They will concoct and manufacture every excuse in this God's earth to lend credibility to their warped reasoning in order to justify their betrayal of the cause they swore under oath to uphold. Unfortunately, such people were born evil, there is nothing anyone can do to help them. They will always betray no matter how long it takes. The best you can do is leave them in the hands of that same Satan that sent them until they exhaust their energies and ultimately burn out. 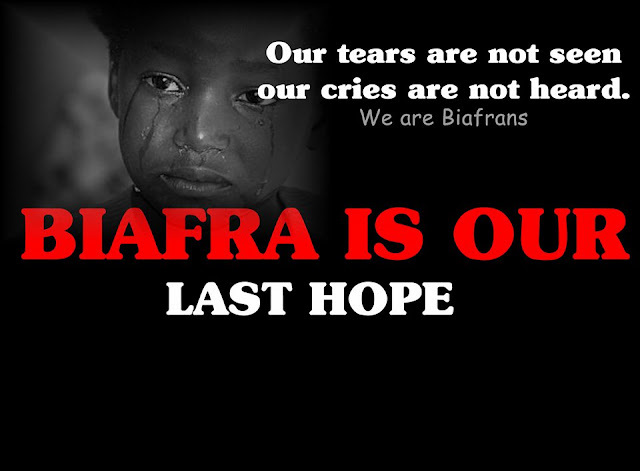 They must know we are IPOB and that makes us indestructible by the divine grace of the Almighty Chukwu Okike Abiama!